Pay your attention:Our Size(Tag Size) is Asia Size which is different with US SIZE,For more fit please order 1-2 size up.Before you purchase it please kindly check the SIZE CHART in product description carefully to make sure the suit fit you well. Perfect mermaid costume for Cosplay, theme party, Halloween Party, beach holiday, pool party,bathing,swimming,photos and so on. 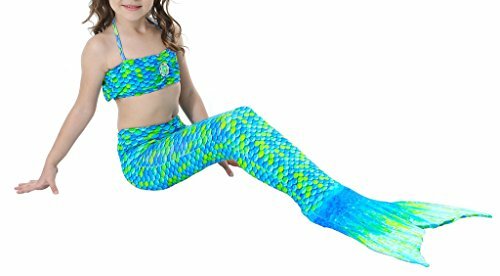 BESTSELLING mermaid tails,Best gifts for little girls and baby girls who have a mermaid drea. If you have any questions about this product by Joyshop, contact us by completing and submitting the form below. If you are looking for a specif part number, please include it with your message.